Splunk is an event-based solution that relies on a single source of data — events captured by the Windows Security log. Splunk doesn’t transform the raw event logs into a human-readable user activity trail, and it can’t provide details about Group Policy attribute changes. 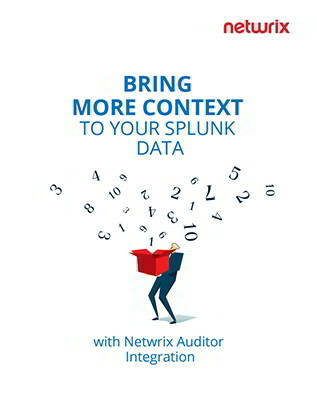 This eBook explains how integrating Netwrix Auditor with Splunk will give you a clear and complete user activity trail that contains who, what, when and where information, as well as details about Group Policy attribute changes, maximizing the value of your SIEM investment.